For when you get chilly on a brisk Halloween evening, this lightweight unisex zip hoodie with a modern fit, hood, front zip, and a kangaroo pocket is the way to go. 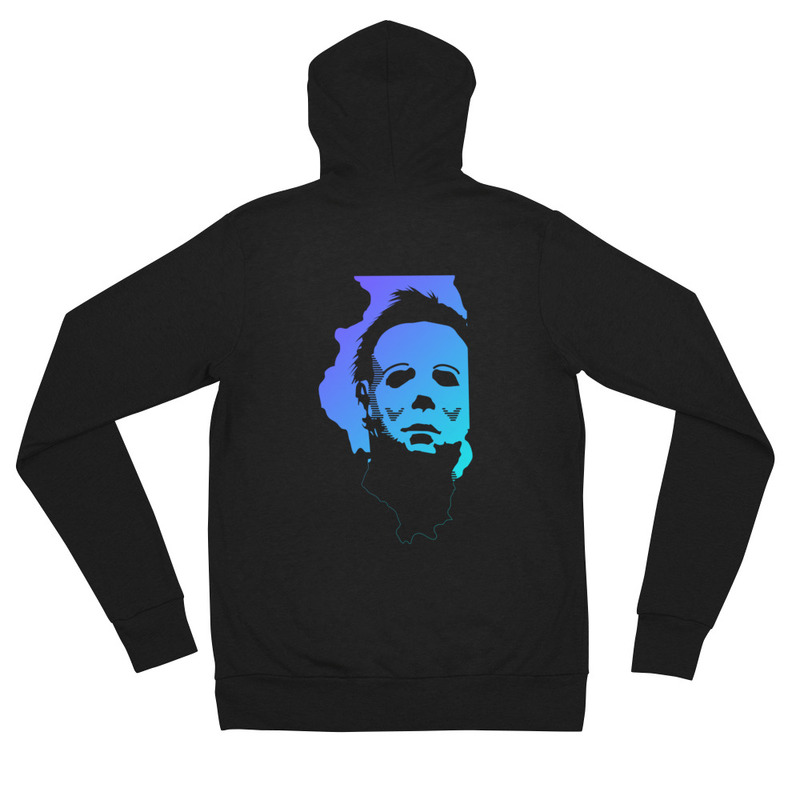 This hoodie features the Dusk version of Michael of Illinois. We’re a small pin operation based in Chicagoland. With a strong passion for design, we strive to make some rad stuff. Though, we try not to take ourselves too seriously. Designs by Jake Caputo, in his home office, surrounded by cats. Get emails announcing new pins and neat stuff like that. © Design Crumbs, Inc. All Rights Reserved.